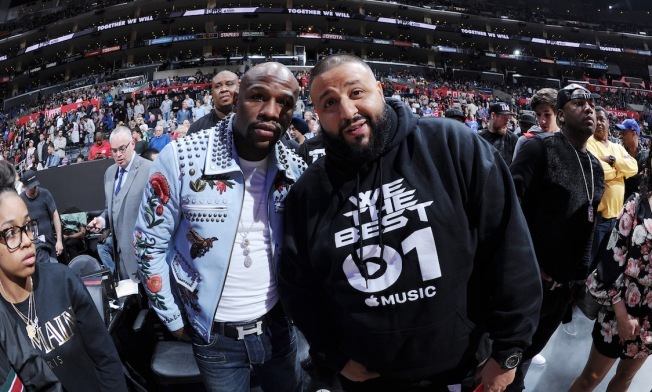 Floyd Mayweather Jr. talks with DJ Khaled after the game between the Golden State Warriors and the Los Angeles Clippers on February 20, 2016 at STAPLES Center in Los Angeles, California. Federal regulators said Thursday that boxing legend Floyd Mayweather and music producer DJ Khaled are paying a total $750,000 to settle charges they failed to disclose payments they received for promoting investments in digital-currency securities. The Securities and Exchange Commission said the cases are its first involving charges for violating rules on touting investments in so-called initial coin offerings, or ICOs. An ICO allows a startup to use the technology behind bitcoin, known as blockchain, to fund projects. The SEC said Mayweather failed to disclose promotional payments from three issuers of ICOs, including $100,000 from Centra Tech Inc. Khaled allegedly didn't disclose a $50,000 payment from Centra, which he touted on his social media accounts as a "game changer." Mayweather and Khaled neither admitted nor denied the allegations in agreeing to the settlements. Mayweather's promotions were said to include a message to his Twitter followers alerting them that Centra's ICO "starts in a few hours. Get yours before they sell out, I got mine." The boxer has almost 8 million followers on Twitter. "You can call me Floyd Crypto Mayweather from now on," he said in another tweet, according to the SEC. The regulators allege that Mayweather neglected to disclose that he was paid $200,000 to promote the other two ICOs, in addition to Centra's. With no disclosure of the payments, "Mayweather and Khaled's ICO promotions may have appeared to be unbiased, rather than paid endorsements," Stephanie Avakian, co-director of the SEC's enforcement division, said in a statement. Under the settlements, Mayweather agreed to pay a $300,000 penalty, give up another $300,000 and pay $14,775 in interest. 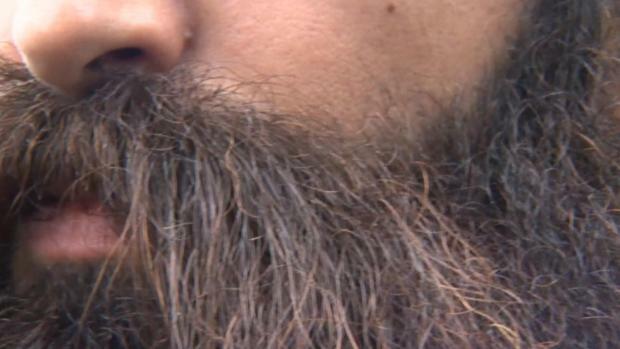 Khaled is paying a $100,000 penalty, giving up $50,000 and paying $2,725 in interest. They also agreed not to promote any securities, digital or otherwise, for three years in Mayweather's case and two years for Khaled. Mayweather and Khaled were among a number of celebrities paid by ICOs to endorse them. ICOs have soared in popularity in recent years, raising billions for startups. With an ICO, a startup will issue currency, sometimes called a token, which can be used to buy services from the company. For example, a startup offering online storage could issue tokens that can be used to buy storage. The SEC urges investors to be skeptical of investment advice on social media platforms and to not make decisions based on celebrity endorsements. How the tokens are marketed is a central question for the SEC. When a company's marketing implies that the tokens can appreciate in value, that can raise a red flag. Kelly Swanson, a publicist for Mayweather, said he likely wouldn't comment on the settlement. Representatives for Khaled didn't immediately respond to messages seeking comment.